To get a clear view of the parliamentary process, visit our page '''[[ACTA:_to_keep_in_mind|ACTA: to keep in mind]]'''. '''Right now, we need to contact members of the [https://memopol.lqdn.fr/europe/parliament/committee/INTA/ INTA committee] and the [https://memopol.lqdn.fr/europe/parliament/committee/ITRE/ ITRE committee]'''. 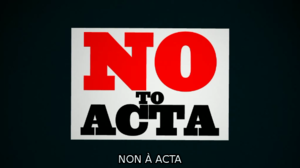 They are working on their report on ACTA, we must ensure they convey all the crucial issues raised by ACTA. 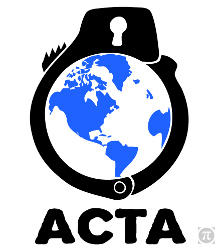 Call their members and tell what you think of ACTA and that you want their report to convey your opinion as a citizen. You can also contact members of the [https://memopol.lqdn.fr/europe/parliament/committee/LIBE/ LIBE committee], [https://memopol.lqdn.fr/europe/parliament/committee/ITRE/ ITRE committee], [https://memopol.lqdn.fr/europe/parliament/committee/JURI/ JURI committee] and [https://memopol.lqdn.fr/europe/parliament/committee/DEVE/ DEVE committee] committees to explain to them the many issues about ACTA and influence their respective reports. Key arguments are listed on our page [[ACTA:_to_keep_in_mind|ACTA: to keep in mind]]. #Rinse and repeat: pick another MEP's number and call them. #Report back your call and the MEP's position to [[#Contacting_us|La Quadrature]] (It helps target specific MEPs during the campaign). You should also call members of the [https://memopol.lqdn.fr/europe/parliament/committee/LIBE/ LIBE], [https://memopol.lqdn.fr/europe/parliament/committee/JURI/ JURI] and [https://memopol.lqdn.fr/europe/parliament/committee/ITRE/ ITRE] and [https://memopol.lqdn.fr/europe/parliament/committee/DEVE/ DEVE] committees and talk to them too.